Newly published University of Notre Dame research found that the use of roofs with vegetation or reflective surfaces on top of Chicago’s current infrastructure could reduce UHI by lowering roof temperatures by a range of 3 to 4 degrees Celsius (5.4 to 7.2 degrees Fahrenheit). 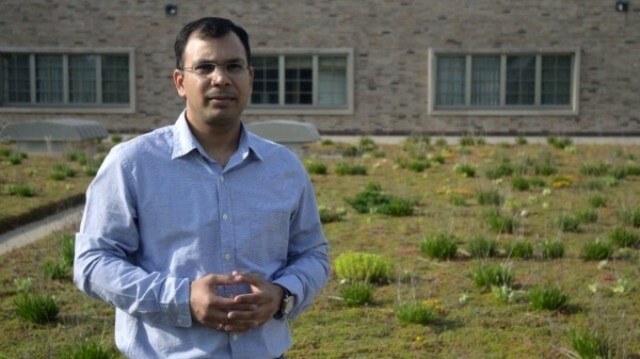 The study, part of a collaboration between Notre Dame and the City of Chicago, examined the efficacy of green or cool roofs using a regional climate model to simulate various real-world urban rooftop conditions. The researchers looked at the effects of green roofs — roofs that are at least partially covered with vegetation — and cool roofs — roofs that are designed to reflect more sunlight and absorb less. When compared to conventional roofs, both types had significantly lower temperatures. Therefore, by using either green or cool roofs, the temperature of the city could be greatly reduced. This research builds on a collaboration between the University of Notre Dame, through Harindra Joseph Fernando, Wayne and Diana Murdy Endowed Professor of Civil and Environmental Engineering and Earth Sciences as well as Aerospace and Mechanical Engineering, and the City of Chicago to support the Chicago Wilderness Green Infrastructure Vision plan for 2040. Cool thermal storage - is it still cool? In addition, the research team also evaluated wind patterns from Lake Michigan to understand how reducing UHI could impact wind within Chicago. By using green or cool roofs to reduce the temperature of the city, there will be less pressure difference caused by cool air from the lake mixing with relatively less hot air of Chicago, thus decreasing lake-breeze within the city. These results have revealed additional urban climate research questions. For example, when there is a reduction in lake-breeze and UHI in the city, there is also less vertical mixing of air. Based on current findings, it appears that this could stagnate air near the ground and potentially cause air quality issues. This summer, Sharma will work with Fei Chen of the Research Applications Laboratory at the National Center for Atmospheric Research to evaluate the role these mitigation strategies play in limiting the potential stagnation of air when implemented and address potential savings in electricity loads. This study was published in Environmental Research Letters. Apart from Sharma, Fernando and Chen, other co-authors include Alan Hamlet, assistant professor of civil and environmental engineering and earth sciences as well as biological sciences; Patrick Conry, graduate student within civil and environmental engineering and earth sciences; and Jessica Hellmann, formerly of Notre Dame and currently the director of the Institute on the Environment and professor of biological sciences at the University of Minnesota. The study is available online at http://iopscience.iop.org/article/10.1088/1748-9326/11/6/064004. For more about environmentally focused research at the University of Notre Dame, visit environmentalchange.nd.edu.